« -Glam Affair – 10L$ Department of OLD Female/Male Skins!! This event is celebrated by various Asian cultures in many different ways. In Chinese tradition, on Spring Festival unmarried folks visit their elder’s homes to pay their respects, in return they get rewarded with Red Packets containing money. 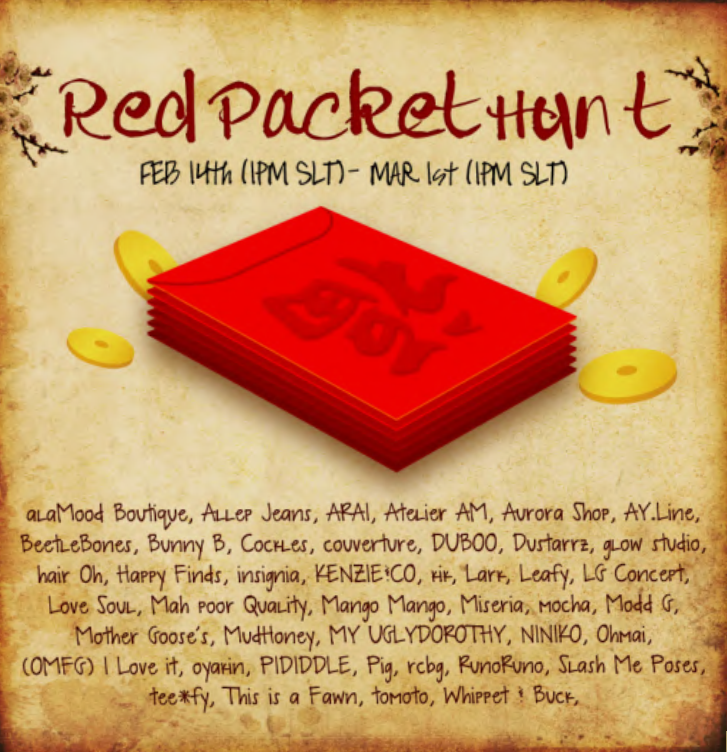 from the starting point, you need to find the 1st Red Packet to get the LM to the next store and so on. HAPPY NEW YEAR to the Asians && HAVE A BLAST HUNTERS! !